A 16-year-old Pennsylvania girl and a 45-year-old man were found Mexico on Saturday, March 17, after the pair allegedly ran off together almost two weeks ago, authorities said. The man has been arrested. Authorities found Amy Yu and Kevin Esterly in Playa del Carmen, a resort town in the Mexican state of Quintana, said the U.S. Immigration and Customs Enforcement, reported The Morning Call. According to CNN, Yu was found “unharmed and in good health,” said Allentown police, and has been brought back home to Allentown, Pennsylvania. Esterly is currently being held in Miami pending extradition to Pennsylvania, where he is expected to face the charge of interference with the custody of a child, said The Morning Call. The arrest came two days after Mexican authorities issued an Amber Alert for Yu, which stated that she could in danger. Yu’s mother reported her daughter missing on March 5, reported The Morning Call. Esterly’s wife told police officers that she saw him that morning for the last time. He withdrew $4,000 from her bank account before vanishing. 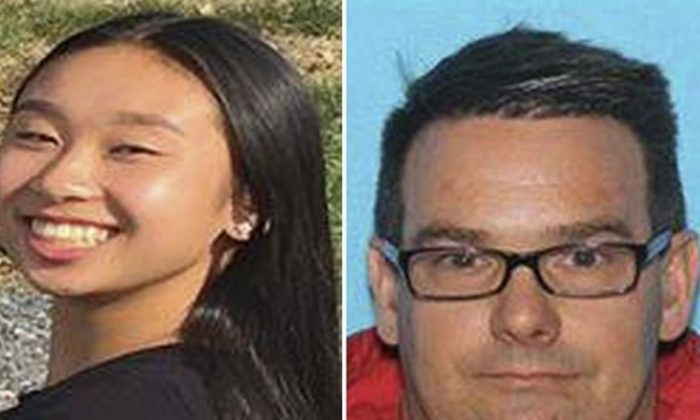 The pair disappeared after being seen last that day at 15th and Allen streets, shortly after Yu’s mother, Miu Luu, dropped her off at a bus stop. “For two weeks, I’ve had trouble sleeping and eating,” Luu told The Morning Call. She said she cried from relief upon hearing the news that her daughter was found. According to police, Yu willingly left town with Esterly. Later that day, they took a one-way flight from Pennsylvania to Mexico, said the Morning Call. Yu is friends with one of Esterly’s four daughters, with Amy’s family saying the pair met initially at church years ago. Authorities said the pair struck up a romantic relationship at one point but 16 is the age of consent in Pennsylvania. According to Waldron, Esterly lost his job over his obsession with Yu and had been unemployed for a month. He also rented an apartment about four blocks from Yu’s family home. “In her [Stacey Esterly’s] opinion, Kevin is not in a mentally stable state. Amy is going to need counseling and their daughters are going to need counseling. This has been an ordeal for this family,” Waldron said. Waldron said Stacey was glad the pair were found.